Alicia Ruppel: Sociologist and Graphic Designer, she is part of the Teldat’s Corporate Marketing Department. 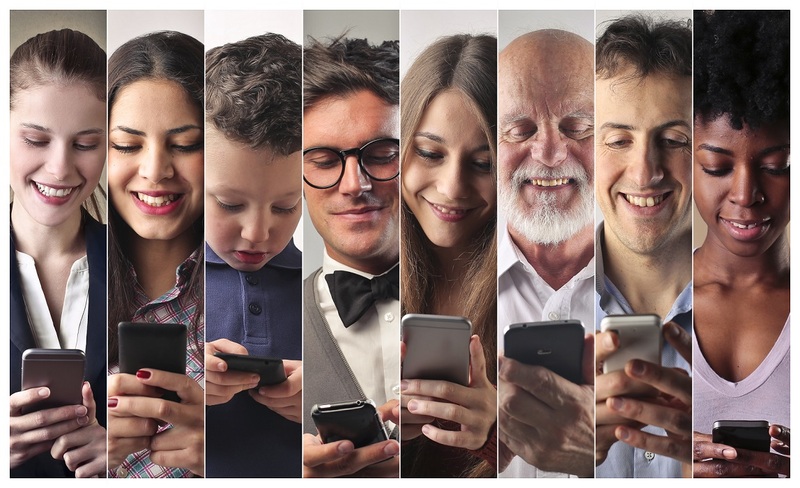 Each time we download an application, browse the Internet, read an email or watch something on YouTube on our smartphones, we’re using some type of wireless technology. For mobile networks this means 3G or 4G LTE. However, when it comes to our home or work environment, we’re probably using Wi-Fi. Delivery Fleets are at the cutting edge of the “internet of things” – just in time delivery, fast response times for service requests, satisfied customers, improving up-time for customer operations, minimizing rolling inventories, productive fleet maintenance, reducing fuel costs … advanced networking and LTE connectivity now provide dozens of ways to be more efficient, reduce costs, and enhance customer satisfaction, resulting in increased profitability. We were present, as a sponsor, at the European Utility Telecom Conference (EUTC) in Dublin. 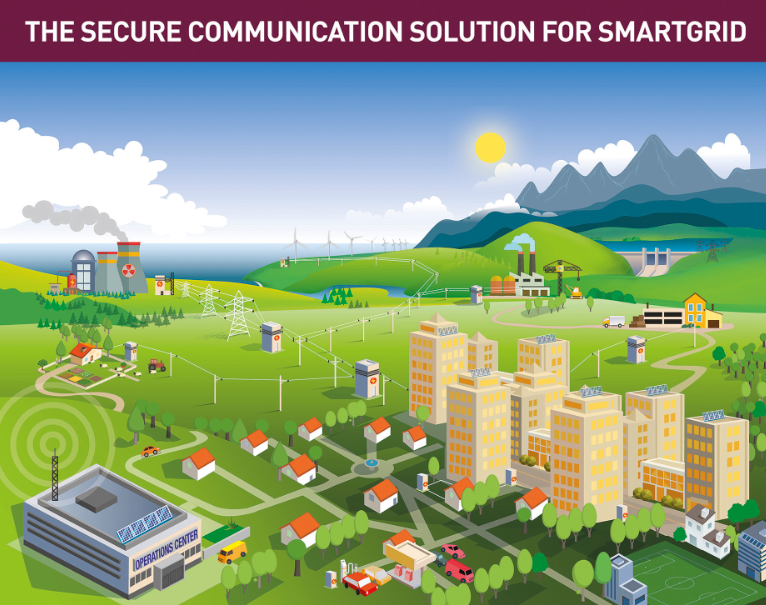 There we had the opportunity to further experience the most commonly used Smart Grid technologies and how these optimized both deployment and maintenance costs, by adapting to certain topologies. Francisco Guerrero: Francisco Guerrero, Telecommunications Engineer, is the Head of Teldat's Product Marketing Department. 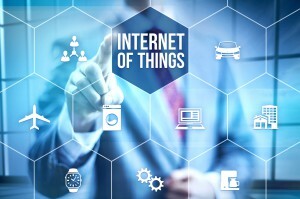 Nowadays, there are more and more applications running on a mobile environment such as, M2M, services for passengers, telemetering, etc… These applications often rely on several wireless access technologies (LTE, 3G, Wi-Fi, Satellite…) to implement the connectivity to the on-board network. In these kind of scenarios, very often the WAN IP changes have an impact on the continuity of applications running at the central office or on the internet. 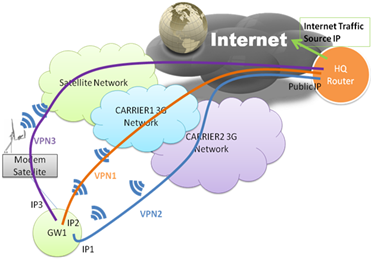 Therefore, there have been several initiatives to provide continuous connectivity in scenarios where the WAN IP is dynamic. The most common ones use Mobile IP or a combination of standard protocols, which mix DMVPNs with dynamic routing. 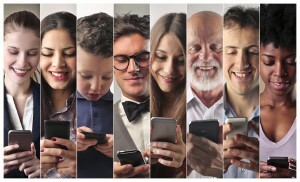 Mobile IP is an open standard that allows users to keep the same IP address, stay connected and maintain ongoing applications, while roaming between different IP networks. Hence ensuring that a roaming device could continue communication without sessions or connections being dropped. 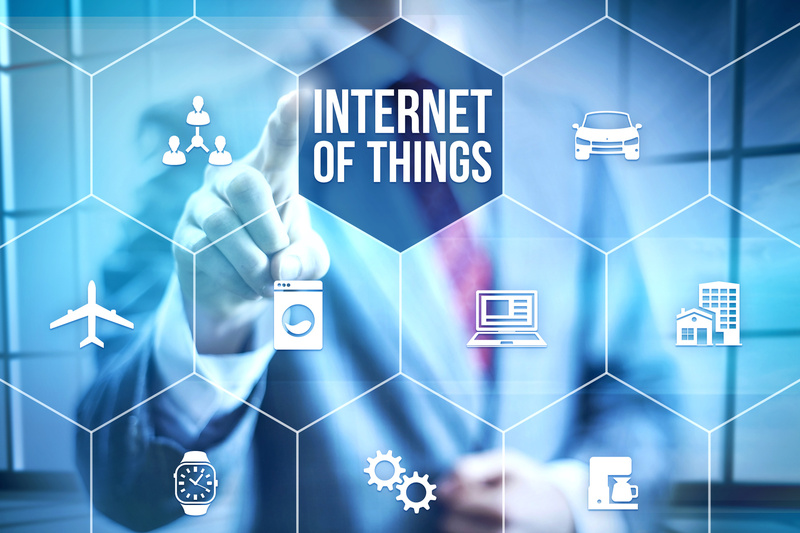 This standard is based on identifying each roaming device, (mobile node, MN) by its home address disregarding its current location in the Internet. 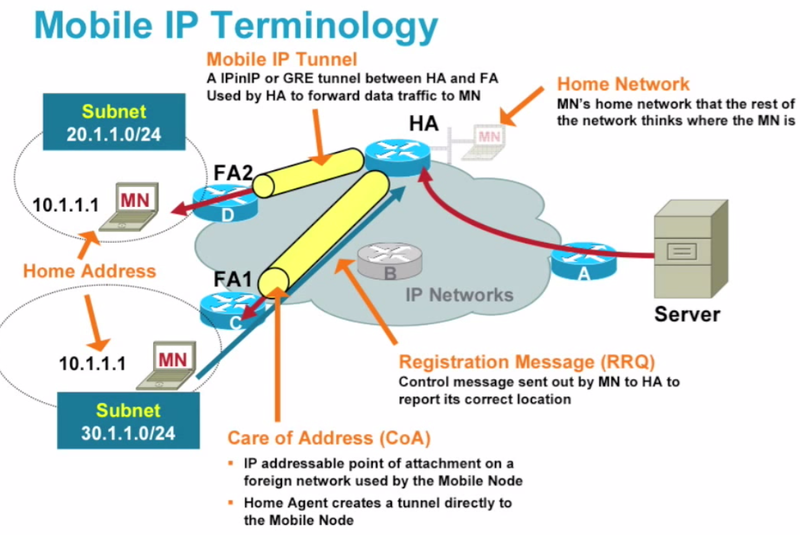 Away from its Home Network, a mobile node is associated with a care-of-address (CoA), which identifies its current location in the Foreign Network, and its home address is associated with the local endpoint of a tunnel to its Home Agent. 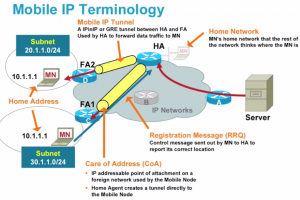 Mobile IP specifies how a mobile node registers with its home agent and how the home agent routes datagrams to the mobile node through the tunnel. Due to this standard’s design, telecom carriers need to implement Mobile IP infrastructure inside their core network. Access network equipment (Foreign Agent, FA in the diagram) also need to implement the same standard and have the ability of build up the GRE tunnels. In scenarios where we use two different telecom carriers, the Home Agent should be implemented by a transversal service that is able to build the tunnels through both carriers’ networks. For the above-mentioned reasons, deploying Mobile IP is complex. There are other safer tunnel-based technologies which allow changes on the WAN IP address. Using a VPN allows to configure connectivity between two LAN networks independently of the routing changes inside the network the tunnel is going through. DMVPNs are the typical approach used to build a VPN between two devices with dynamic WAN IP and it is a much more mature technology and spread out than Mobile IP. Building a DMVPN requires a public fixed IP at the central side (HUB). While spokes could have dynamic or fixed public IPs. Using a protocol named NHRP (Next Hop Resolution Protocol) the different Spokes can be registered into the HUB allowing to set up a VPN between two Spokes without going through the HUB. Also, if a Spoke changes its WAN IP, it will send an update to the hub updating its new address. As well as in Mobile IP, the convergence of the technology requires some time. In addition, the change of two cellular networks from different carriers (LTE module needs to reboot and re-register in the new network) also requires some time. However, in real mobile environments (such as in-vehicle connectivity) the change between carriers is not instantaneous (the coverage from one carrier gradually lowers while the coverage of the other cellular network is improving gradually). The combination of a device with two cellular modules allow having two simultaneous cellular networks available to provide the service. In this case, each module will connect to each cellular network and build up two tunnels (one through each telecom carrier) which will coexist until the coverage of one of the carriers is much stronger than the other. Adding an appropriate dynamic routing protocol configured at both extremes of the tunnel with fast update features and different priorities in the exported routes, allow application continuity whenever any WAN link is down or quality is not sufficient. 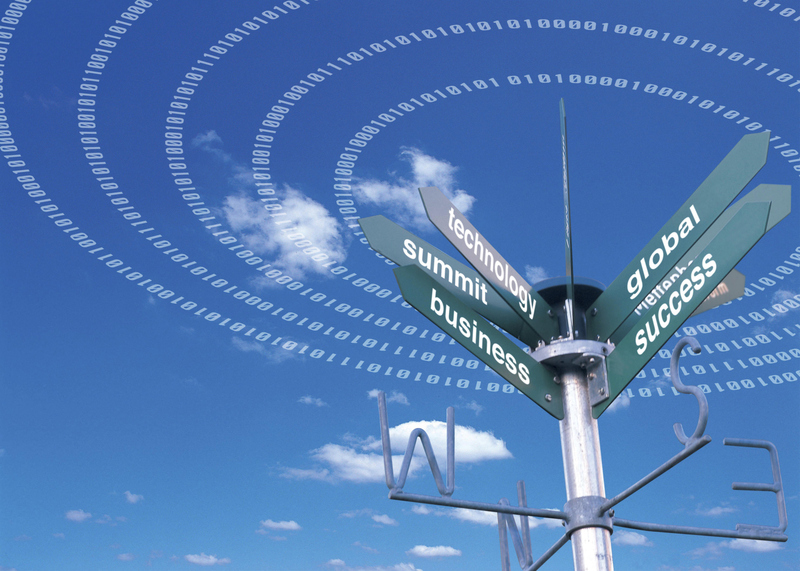 Mobile IP requires additional infrastructure and a very complex deployment on the Telecom Carriers’ side. The solution based on DMVPNs is completely independent from the Telecom Carriers and does not require additional costs, as well as allowing to configure simultaneous connections through different Carriers without any difficulty. This is why Teldat deploys DMVPN technology for its mobile scenarios, whether on trains, buses or any other type of vehicles, via our routers H1-Rail, H2-Automotive or similar.